Welcome to the World's Leading Organization dedicated to recording, preserving and sharing the history of engine-powered vessels. Discover ship history through PowerShips magazine, the Image Porthole, and more! Click here to see the auction packages available for our Ocean Liner Dinner on May 4! The authoritative magazine of the history of engine-powered vessels and the legacy of man's journey on the world's seas and waterways. PowerShips #309 is now available! 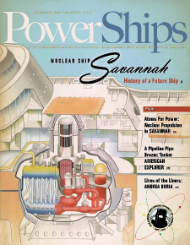 The Spring issue of PowerShips is landing in mailboxes across the country, but there's still time to renew or join to get it. Make sure you don't miss it! We are continuing to build up the Ship History Center brick by brick thanks to the support of our members. 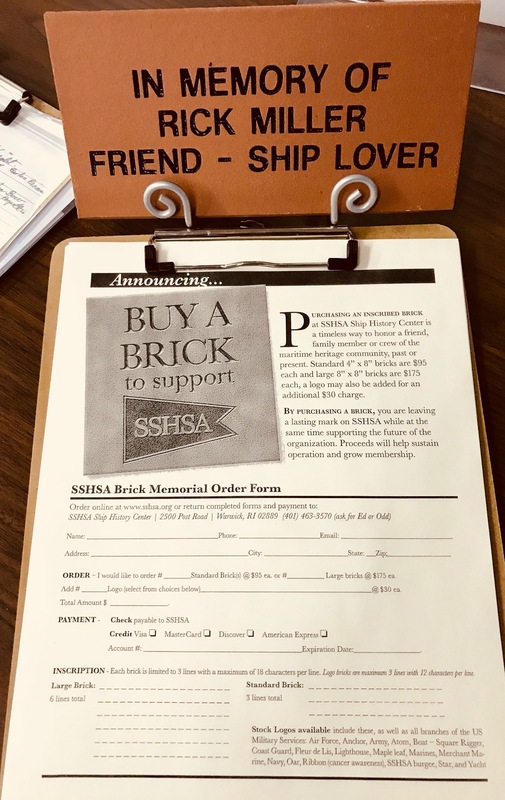 Memorial bricks now line the walls at our headquarters, but there's still time to get your request in before the next order goes out. If you've visited the Ship History Center in the last year, you have probably noticed the impressive models of ocean liners such as the Leviathan and the Imperator. 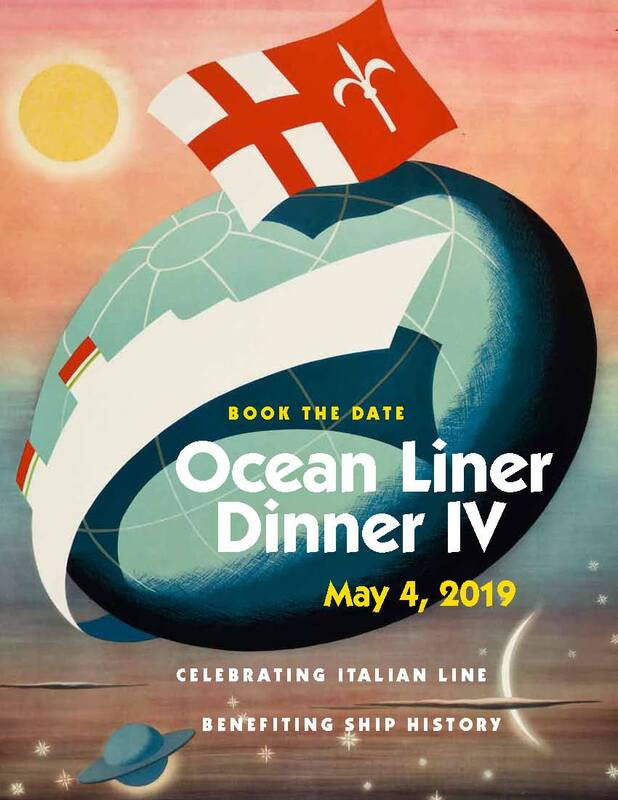 Click here to buy your tickets to the Ocean Liner Dinner featuring the Italian Line! This year's dinner will take place on May 4, 2019, at the Squantum Association in East Providence, Rhode Island. Don't miss out! Thanks to everyone who came out last month for our presentation on Shipwrecks in Rhode Island with Historian Charlotte Taylor. More than 40 people packed our headquarters in Warwick for a spirited discussion of the countless number of vessels that met their end along the shores of the Ocean State. This is time of year when the spirit of the season is upon us. And as the old adage goes, it's often better to give than to receive. Thanks to the kindness of many, we here at SSHSA are usually on the receiving end.